SafeComs is happy to announce the hiring of Isak Johansson as Senior Sales Executive. Isak has an important and wide-ranging professional background after several years in industries such as Retail Banking and Financial Services on two different continents. SafeComs looks forward to having him onboard as the company is continuing to grow. 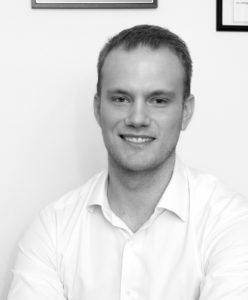 Most recently, Isak has gathered significant experience in the Southeast Asian region working as an Independent Financial Advisor (IFA) for a firm based in Bangkok. In accordance with the mission of SafeComs, Isak is ready to offer “Peace of Mind” to the company’s customers through its innovative, reliable, first-class products and services. After almost two years of working closely with business owners, decision-makers and C-level executives from his time as an IFA, Isak is well-versed in the art of creating, developing and managing reliable relationships with customers – a skill that is crucial in the IT industry. SafeComs Thailand is a privately-held, Bangkok-based company established over a decade ago by a group of security engineers, based on the expertise they acquired in Australia. We are committed to building the best security solutions possible with the minimum number of features necessary to make your company safer, your life easier, and our products affordable. The answer required business-savviness mixed with technology expertise, and took several years to build; a complete suite of services and systems adapted to the size and budget of SMB/SME, backed up by a team of experts – nothing more, nothing less. We build systems solutions with the exact required functionality to monitor your business. We stripped all nice-to-have features to focus exclusively on the vital ones. We develop software to report on issues that could seriously impact your productivity and to block threats that could take your company down. And to reduce the cost to a minimum, we base all our solutions on Open Source Technology. The result is a family of products requiring minimal investment, offered in a totally outsourced model, giving you, our customer, complete security from the Internet. We provide the reports you need to maintain control over your business. We are your Security Partner at an affordable price. Ransomware Risk... did you get caught?